Our Facebook fan page is an active community where weekly post videos and pictures. 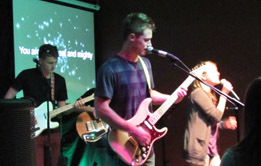 Check out our student ministry band before you come by checking out our bands MySpace page. 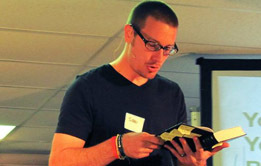 Sean Chandler is the student ministry pastor at Hill Country Bible Church Hutto. Follow the link to learn more. Listen to The Exchange's weekly messages by subscribing via iTunes. Our middle schooler ministry meets Sunday mornings at 9:15 a.m. @ Hutto Middle School where our church meets. We're meant to live in community. Therefore we offer weekly small groups which are led by an adult leader. If you have any questions about life or our ministry, shoot me an email. We'd really love to hear from you. Let us know what's on your mind.